Interestingly, there’s been some debate as to what kind of submission Khabib Nurmagomedov actually used to coax out Conor McGregor’s tap. Some are calling it a rear-naked choke, while others feel it was more of a neck or face crank. 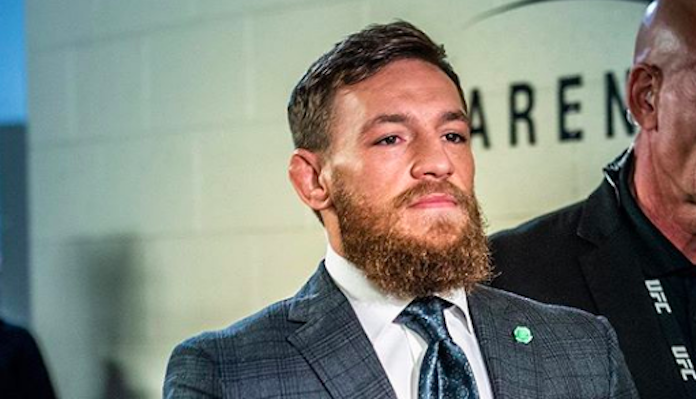 While the verdict is still out on that one, former UFC middleweight champ Michael Bisping feels that, whatever kind of choke it was, it wasn’t actually one that Conor McGregor needed to tap to. He feels the Irish MMA star simply gave up after four tough rounds. Last Saturday night, in the main event of UFC 229, former UFC lightweight and featherweight champion Conor McGregor returned to the Octagon after two long years away, as he attempted to reclaim the UFC lightweight belt from undefeated champion Khabib Nurmagomedov. Unfortunately for McGregor and his….